“Jacob’s well was there; and Jesus, tired from the long walk, sat wearily beside the well about noontime. 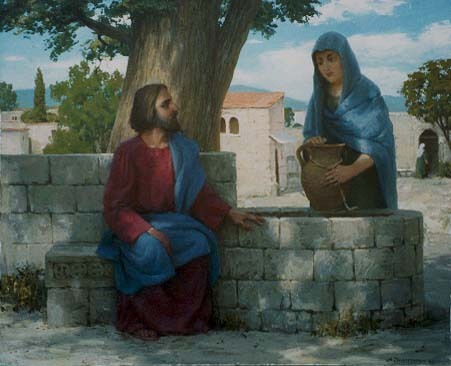 Soon a Samaritan woman came to draw water, and Jesus said to her, “Please give me a drink.” He was alone at the time because his disciples had gone into the village to buy some food. “Go and get your husband,” Jesus told her. “I don’t have a husband,” the woman replied. Today members of Christ have completely cut off the “Spirit and Truth” in worship. Remember that we must worship Him in Spirit and in Truth–not in Pride or showboating. The Spirit of God is for everyone and not exclusive to a select few. Previous Finland2BostonXscape: What is the Surfing Culture like in Capetown?! Next How do I pass my first year in law school?